Thanks to today’s Nor’Easter and advice from Mayor Bill de Blasio, I have had time to pick out two red wines that should be considered as choices for your Easter table. In my case, the choice is extremely important because Easter falls on my birthday, April 1st, also know as April Fool’s. When you are inside during the duration of the nor’easter-I arise early-there are only three things to do, at least for me-write about wine-cook a meal-and sample wines for your upcoming articles. Today, I have a chance to do all three. Since choosing Easter wines has always been a serious task, as choices affect many people, much consideration must be taken to include a common palate pleaser. Traditionally, lamb, the greek style with lots of garlic and rosemary has been the show stealer. You always need wines that can match up to the fat, but, won’t overpower the main course. Those same wines that you use for the lamb, can often be the transition wines from the course before. In that case, pasta with a red source is the transition dish. There is one grape that can make the leap. That grape is Sangiovese, the useful grape in Chianti, known around the world as the pizza wine. Take it a step further and that grape, often blended with other grapes is perfect for pasta with red sauce and can be stretched even thinner as the wine for lamb with all the fixings. I like to choose two wines for the main course-in this case both from Italy-and both from Tuscany, home of Chianti. 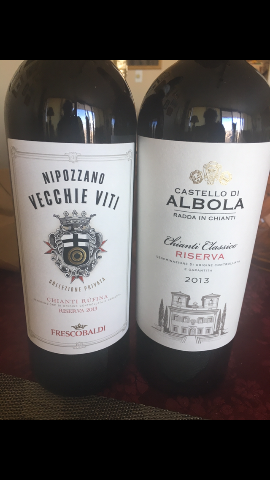 The first wine is a 2013 Frescobaldi Nipozzano Vecchie Viti Chianti Rufina ($23). The wine is mainly Sangiovese that is blended with many indigenous local grapes (Nera, Colorino) plus Canaiolo and Malvasia. This wine has just the amount of complexity and balance to pair with the lamb and pizza dishes for our Easter feast. 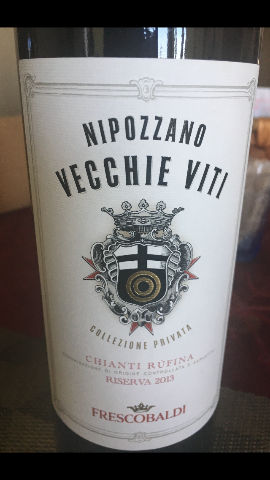 Aged for two years in oak barrels, the Nipozzano Chianti is a palate pleaser with bold concentrated notes of cherry and raspberry. 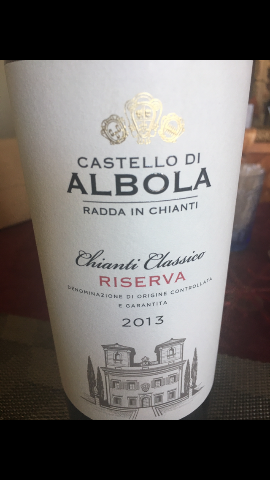 The second wine that I chose is also a masterful 2013 Castello di Albola Chianti Classico Reserva ($27). It is more of a barnyard wine that should match perfectly with the lamb. The wine is earthy with hints of licorice and violets. The vineyards surround the 15th castle. The vines grow on the tallest part of Chianti Classico region, which was perceived as a symbol of status. So, the choices are in….